RiseBoro Farmers Markets are back this weekend! ¡Los Mercados de Agricultores de Riseboro están de vuelta este fin de semana! 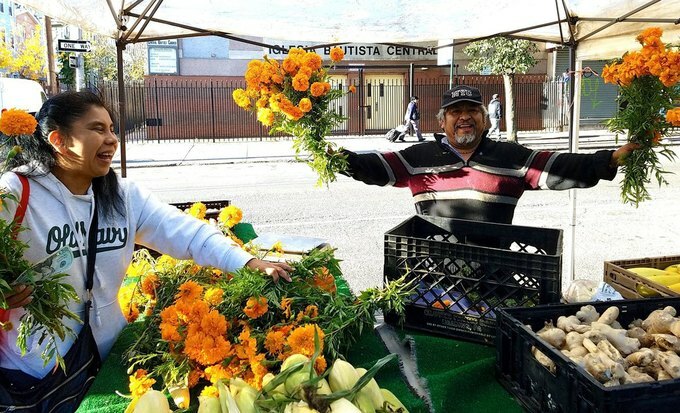 You’ve seen them out in Maria Hernandez Park, posting up under tents on Knickerbocker, and under the Rheingold Archway on Bushwick Ave. You may have picked up a week’s worth of produce from them after your morning jog. Maybe one of their friendly vendors gave you your first taste of chicha. Perhaps you lingered there to savor a cold brew and quiche one sunny afternoon. 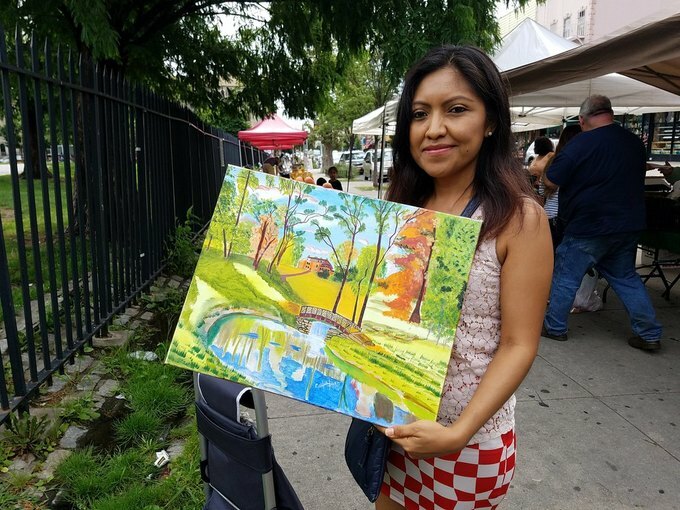 However you may have come across the RiseBoro Farmers Markets, you know they provide fresh fruits and veggies, delicious treats, and comforting camaraderie to the whole of Bushwick. But if you thought these neighborhood mainstays were good before, just wait till you see them this year. On Saturdays, visitors will be able to enjoy products from local vendors, meet-and-greets with regional farmers, and a chance to learn more about the community initiatives happening all around them. The kick-off market on Saturday, May 19th will also feature RiseBoro’s festive annual plant sale. 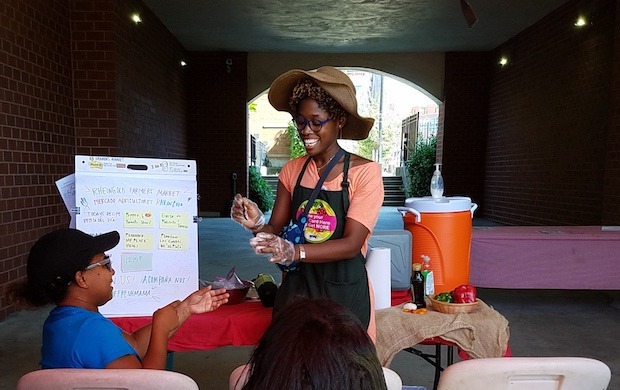 On Sundays, the markets will offer free summer youth arts programming by Arts and Rhymes, community yoga by Tejal Yoga, and Zumba by Ariel Maduro. While opening weekend is always a big celebration for the markets, this year’s will be especially exciting since it arrives with some great news. In 2018, for the first time, RiseBoro will be providing free Sunday programming for everyone in the Bushwick community until the last market day in mid-December. The organization hopes these new offerings will encourage residents to learn more about the many resources available through RiseBoro, which include adult education, supportive housing, and youth programming—just to name a few. 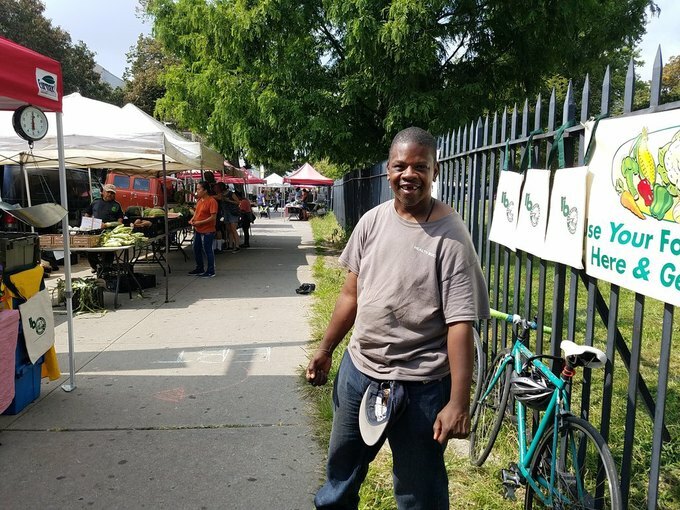 If you’re a local food vendor, crafter, arts programmer, or anyone else interested in working with the RiseBoro Farmers Markets, reach out to Ali Toxtli at BushwickCooks@riseboro.org. 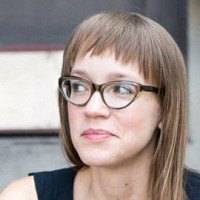 Socioeconomic inclusion is a key mission of the markets, so just like last year, cash, credit, SNAP, and WIC will all be accepted. For more information about RiseBoro Farmers Markets, email BushwickCooks@riseboro.org, or call (718) 416-4561. For more information about RiseBoro’s work in Bushwick, see their website.